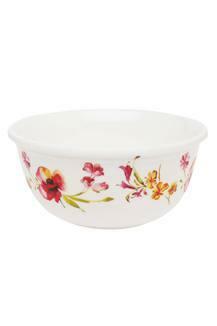 Leave a lasting impression on your guests by bringing home this soup bowl. The round shape gives ample space while the attractive floral design allures the overall look. Made of superior quality material that renders it long lasting and also easy to maintain. Opt for this soup bowl from Stylo and add spark to your serveware collection.